I am super excited to announce another online course, I wrote for ampeduca. So many teachers and schools are diving into digital portfolios NOT to substitute analog portfolios into digital spaces, but to use them as another pedagogical strategy FOR learning, assessment, curation of digital work, etc.. The course is a compilation of the experience I have gained working with different schools around the world, specifically in helping educators document their own professional growth and translating their learning experiences into the classroom with digital portfolios and their students. How do we go beyond taking pictures and uploading them onto the portfolio platform of what learners have done? How do we create meaningful content that tells a learning story? What can we accept as evidence of learning? What are some tools that will help me create artifacts that constitute evidence of learning? How can we use the documenting learningflow (look for learning, capture learning, reflect on learning, share learning and amplify learning), you describe in your book as a routine/template to meaningful portfolio work for all learners? to get started with your own portfolio to document your professional growth. to gain exposure and experience alongside your students how to use documenting for your own learning and the learning of others. to deepen the learning and evidence of learning growth of your already existing portfolios (professional and student portfolios). So if this sounds like a topic you might be interested in, head on over to ampeduca and take a dive into the Digital Portfolios and Documenting Learning course. If you are interested in purchasing the course for your school or district, as a package for all teachers, just get in contact with the ampeduca team. COURSE DESCRIPTION: Digital Portfolios are becoming an integral part of many schools to share learning. no matter the platform ( Seesaw, Bloomz, Google sites or a blog, the type (showcase, process or hybrid) or purpose (assessment, visible thinking, global communication hub), documenting learning is a strategy to amplify digital portfolio work. This ampeduca course explores the documenting learning framework and learningflow routines outlined in the author’s book A Guide to Documenting Learning ( Corwin Press, 2018) and how these support the development of your professional or student digital portfolios. The course looks specifically at the text, video, images, and video tools, which help look for learning, create artifacts that capture learning, reflect on learning, share learning to amplify learning through documentation. -That a digital portfolio should not be an analog portfolio placed on a digital platform. 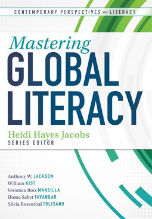 -How to use the power of digital tools to support the “now” literacies in the development of digital portfolios. -How to amplify writing on digital platforms. -How to become aware of different purposes, challenges, and solutions of implementing digital portfolios through the lens of documenting learning. 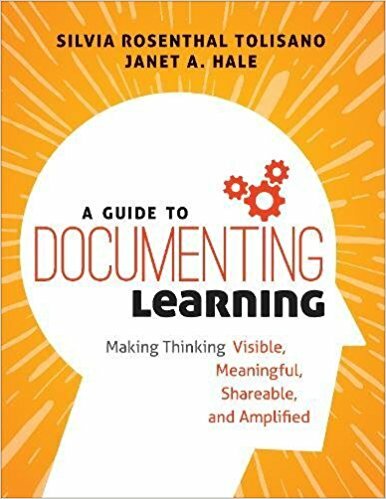 -To explore the documenting learning framework that will help you and your students make their thinking and learning visible, meaningful, shareable and amplified. 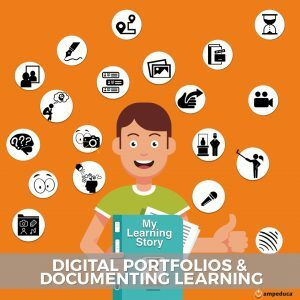 -To dive deeper into the three phases of documenting learning and adapt these phases to the digital portfolio process for the learner.